Dennis Barker has written a hard-hitting expose of the erosion of standards and values in the media world of newspapers, TV and radio over the past twenty years, in particular those of integrity, independence of thought and accuracy. He was prompted to start work on his book by the low standing of journalists - at the bottom near estate-agents and politicians - in recent opinion polls on the esteem in which the public holds those in different professions. He takes the reader through a whole gamut of journalistic 'tricks', which pinpoint the failings of the media, in over fifty short chapters, including 'the death of the reporter', 'prejudicial words', 'shovel it all in', 'the sub's role', 'my beautiful career', 'same old celebrities', 'money worship' and 'headlines and fib-lines'. In 'snubbing', we see how a colourfully dramatic conflict or a cauldron of ill-will can be created where possibly none exists. The general public is becoming increasingly aware of the unsatisfactory state of affairs in media journalism, which is highlighted by the periodic distortions caused by the political ambitions of chief executives and tycoons, misleading headlines, and its extraordinary obsession with celebrity culture. 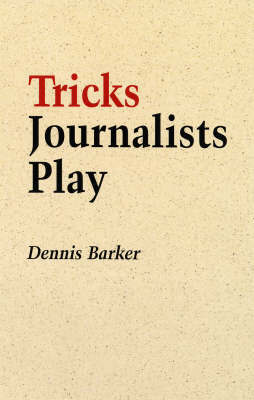 "Tricks Journalists Play" is essential reading for the majority of us who care about the pernicious effects of spin, misrepresentation and deception and social and international prejudice, the purveying of half-truths in relation to crucial issues that affect our future, and the failure to report fully and accurately on matters that have a bearing on freedom and democracy in this country. An experienced journalist himself, Dennis Barker has worked for the "Guardian" since the 1960s in many roles, from feature writer and media correspondent to general columnist, and at the moment is a contributor of obituaries, mainly in the media and entertainment spheres. Dennis Barker is an experienced journalist who has worked for the Guardian in many different roles, from reporter, feature writer and media correspondent to general columnist, since the 1960s, and at the moment is a contributor of obituaries, mainly in the media and entertainment spheres. 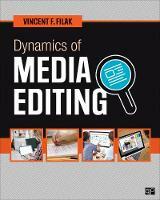 He is the author of many books, including The Craft of the Media Interview, How to Deal with the Media: a Practical Guide, the People of the Forces trilogy: Soldiering On, Ruling the Waves and Guarding the Skies, and One Man's Estate and three novels. He also broadcast regularly with the BBC in the 1970s.